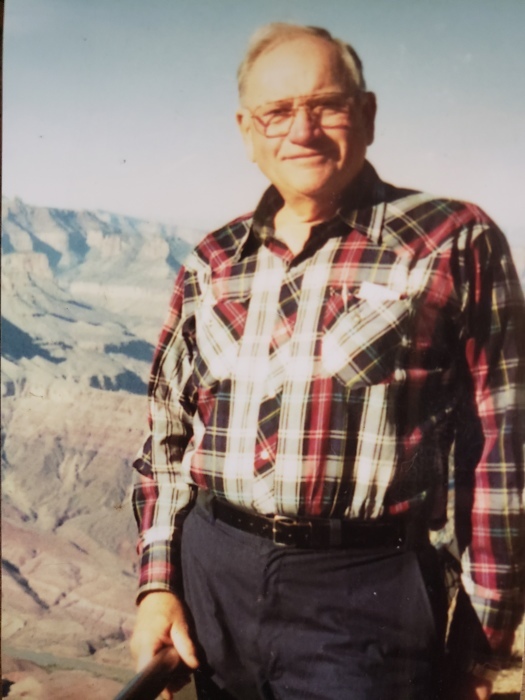 Edward Harlan Castle, 92 of Rowlesburg died peacefully Thursday, October 18, 2018 at home with family by his side. He was born May 24, 1926, in Tunnelton, a son of the late Joseph and Carrie McGinnis Castle. He was a loving husband, father and grandfather. In 1949 Mr. Castle founded Cool Springs Park and was its owner and operator for many years. He loved the fall of the year when he hunted and fished. He is survived by his wife of 59 years, Mary Gail Sypolt Castle; his two sons, Bradley Castle and wife, Carol of Rowlesburg and Bruce Castle and wife, Betsy of Kingwood; his daughter, Alicia Creamer and husband, Gary of Rowlesburg, eight grandchildren and their spouses and several great grandchildren. He was also preceded in death by six brothers, three sisters and is the last survivor of his immediate family. Family will receive friends at the Burke Funeral Home in Rowlesburg on Sunday, October 21, 2018 from 1-5 pm the funeral hour with Pastor Dan Stottlemeyer officiating. A dinner for family and friends will be held at the VFW in Rowlesburg immediately following the service. Interment will be in the Castle Family Cemetery, Briery Mountain Community, Manhiem, A private family graveside service will be held at the convenience of the family. Memorial donations may be made to the Macomber Community Church.